If you are new to live casino gaming, set out below is a précis which you may find useful. It includes a number of links to internal pages offering more detailed insights into various aspects of live casino gambling you may wish to explore a little further. A live casino may be thought of as a hybrid sitting somewhere between traditional (RNG – random number generator) online casinos and (even more traditional) terrestrial or ‘bricks and mortar’ casinos. It combines the tangible aspects of real dealers, cards, die and roulette wheels found in terrestrial casinos with the internet as a delivery mechanism serving the game remotely to players’ PCs. In principle the concept is simple. Somewhere, in either a purpose built studio or a terrestrial casino, a croupier deals a game in front of a video camera. That camera streams live vision of the deal (or spin as the case may be) to a linked interface that allows players sitting at their PC to view the game as it is being conducted and place bets accordingly. In order to play a live casino game you will need to find an online casino offering live games and register a playing account. But as depicted in the above diagram, often the video stream and associated bet interface are not developed and managed by the casino, but rather licensed from a third party provider. There are a number of live casino platform providers out there selling their services to online casinos. Some are well known RNG casino software developers who have expanded their offering to include live dealer studios and streaming, like Microgaming and Playtech. Others are ‘pure plays’ like Evolution Gaming, Vuetec, HoGaming and Entertasia that have emerged in the last few years as the niche live casino industry has developed. What does the interface you see/play on look like? 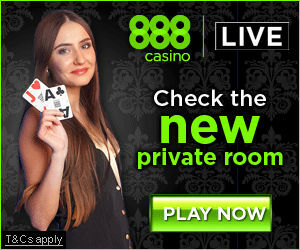 This varies slightly between platform provider and casino (branding tweaks), but in the main there is a typical look and feel that is commonly employed. Set out below is a screen grab of a typical interface, with the webcast inset top and centre and surrounded by all your betting instructions and information. Links to help and house rules are all provided as well as a full history of bets placed and outcomes. Some providers offer the chat functionality, so you can chat to the dealer and other players. Some also offer the ability to enlarge (or enlarge and detach) the video stream to full screen view. Some also offer the ability to view all bets placed by other players on the roulette table during the time afforded to place bets (Smart Live Casino). Probably the most common type of live casino offering is where the games are streamed from a purpose built dealer studio. Here the dealer environment (lighting, camera views, zoom, orientation etc) streaming technology and interface functionality (dealer interaction, view customization etc) are all able to be optimized for online play. Some online casinos offer games streamed from actual bricks and mortar casinos. You are able to watch other players inside the casino place their bets at the same table you are playing at on your PC. You also have the novelty of playing a game being conducted by a casino employed croupier. There is now a long list of in-casino live tables streamed from the floors of bricks and mortar casinos all around the world, including the United States. There used to be a number of casinos offering live games that were telecast on TV channels as well as being available for play in the web. Now NetPlay and its brands SuperCasino and Jackpot 24/7 are the only remaining. The games are broadcast from television studios by presenters and are more akin to game shows in which you are able to participate from your PC or TV. Each of the above three flavours of live casino offer strong points as well as shortcomings. In case you were wondering where the major live dealer studios are located, you can view details here. Live casinos generally offer blackjack, roulette and baccarat. A number also offer (player v house) poker variations. Asian market facing operations will typically offer the Asian dice game Sicbo and Dragon Tiger. Compared with RNG games range, which number up to 400 at some online casinos, live game range is still small. The limited game range is probably symptomatic of the fact that live gaming is still a developing niche and one that is relatively labor intensive compared with RNG games and therefore provided at a higher marginal cost. As player participation increases over time game range will no doubt expand accordingly. With regard to live dealer blackjack, you will find a pretty broad variety or rule sets and deal types. While most casinos will offer the classic 7 seat version of the game, ‘one to many’ deals are also pretty common. Here a single deal can cater to an unlimited number of players. Evolution Gaming’s Infinite Blackjack is a good example of a ‘one to many’ live blackjack game. Which is the best live casino? This is a very subjective question and any website trying to give a definitive answer on this one is kidding themselves. Claiming a certain live casino as ‘the best’, is much is like claiming your favourite film as the best film. It all depends on your preferences. There are a myriad of different attributes offered by the different live casinos (and their platform provider) you will find on the web, that may be considered in choosing what is best for you. Do you want to be able to chat to the dealer and other players during play? Would you prefer a fast game or one where plenty of time is afforded between deals/spins? Are you looking for games with low limits or are you a high roller looking for high maximum bet limits? Are you particular about the look and feel of the game interface and the ambience of the dealer studio? Are you looking for a casino brand that you know and trust? What game are you wanting to play – blackjack, baccarat, roulette or sicbo? Would you like to be able to play in free-play mode before playing with real money? Would you like to play the games on your mobile? Are you looking for localised live games…where the dealer speaks Italian, Spanish, Norske, Flemmish, German…? The list is endless and you want a casino that ticks most of the boxes you have. Try our live casino attributes page as a starting point.